At Object Edge, we believe that effective digital transformation begins with great people and partnerships. BloomReach is redefining the Web Content Management (WCM) landscape with the world’s first open and intelligent Digital Experience Platform. We’ve chosen to partner with the world’s best web content management and commerce platforms to pursue our key beliefs. Since both commerce and content innovations are vital to successful digital transformation, our partnership with BloomReach helps our customers tie their brand’s content closely to transactions. Recognized as a Leader in Gartner’s 2018 Magic Quadrant for Web Content Management, BloomReach is a leading global provider of digital experience software. BloomReach takes customer experience to the next level. It redefines WCM and SEO via a Digital Experience Platform that boosts conversion, increases revenue and generates customer loyalty. 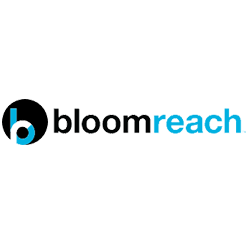 With their global network of certified partners, BloomReach serves a growing number of enterprise customers including Neiman Marcus, Staples, REI, Mailchimp, NHS, and FC Bayern München.